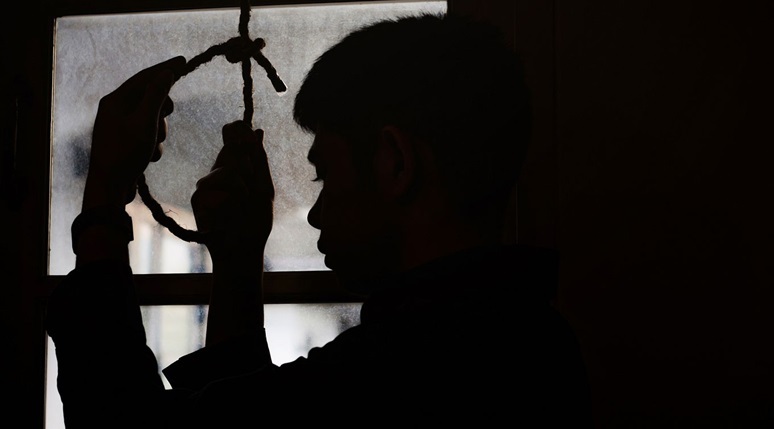 Another man died due to apparent suicide after hanging himself inside his boarding house in Tagbilaran City on Monday night in what was the fifth suicide case in the province since Thursday last week. The lifeless body of Clark De Dios, 22, was found by his housemate and school batchmate, Ann Catherine Labor, inside their boarding house along Peñaflor St., Barangay Booy in Tagbilaran City at around 6 p.m.
Police said that De Dios hanged himself from the ceiling using a belt and cable wire. De Dios had recently finished his BS Architecture course and was working as an intern for a local architecture firm. There were no indications of foul play in De Dios’ death, police said. It was also not the first time that De Dios tried to take his own life as he previously slit his own wrist. De Dios’ apparent suicide was the fifth suicide case recorded by police in a span of five days starting Thursday last week. The other suicide fatalities were identified as Aduebal Abiera, an overseas Filipino worker and a native of Alicia, Brigido Makinano of Anda, Arturo Yagong of Talibon and Ricardo Calimbo of San Isidro town. According to Chronicle columnist and psychologist Kit Balane, family members should show support to those in distress or those showing signs of despair or depression. Balane cited multiple reasons that could drive individuals to take their own lives including feelings of hopelessness and mental disorders. “Ang uban naa ni silay psychiatric illness. Ika duha, kining sense of hopelessness. Siguro naa siya’y gihambin na sakit…na para niya, kung ipadayon ni, lisod na g’yud kaayo. Di na niya maantos, so ang escape ra g’yud ang suicide,” Balane said. “Ang lain rason pud, long-term relationship issues. Sa bana o asawa ba kaha, sa ginikanan or sa romantic relationship. Naa puy uban na involved na lain party, para pud makapanimaws,” he added. However, Balane noted that there have been instances when people committed suicide without showing any signs of problems or possible causes for taking their own lives.